This week I was struggling to come up with a good wonky word and then I read this article. Reappraisal is a great wonky word! It is timely, it is about taxes and budgets, and it is complicated. Perfect! Section 3. PROPERTY TAX ADMINISTRATION. The state shall appraise, assess, and equalize the valuation of all property which is to be taxed in the manner provided by law. Section 4. EQUAL VALUATION. All taxing jurisdictions shall use the assessed valuation of property established by the state. Basically in Montana, the state needs to reevaluate the value of property periodically because the housing market changes. It wants to ensure that property is taxed properly according to its current value. How often does reappraisal happen? If you feel like you have heard about property tax reappraisal before it is because you have – in 2003 and in 2009. The state legislature has mandated that periodic statewide reassessment of property values occur every 6 years. So get ready for the next round of reappraisal to come up again next year. Where are things right now? The Montana Department of Revenue is responsible for conducting the reappraisal and will present its preliminary values to the Legislature’s Revenue and Transportation Interim Committee in November. The 2015 Legislature then has the opportunity to review the changes and address any issues that may come up. Next summer homeowners will be notified of their new assessments and have 30 days to file appeals. In November of 2016, each county will mail out new property bills. What will happen to property values during this upcoming reappraisal? In 2009, the housing market had been booming for some time, so values changed quite a bit in many parts of Montana. Since we are still recovering from the recession, values are not estimated to increase too much for most of the state this time around. Keep in mind that values can vary dramatically from county to county. Richland County – the Sidney area – will probably see the most significant changes to certain properties because of the incredible oil production in the area. Still have questions about the reappraisal process? Don’t worry. This is a topic we will continue to cover as the reassessment process continues. 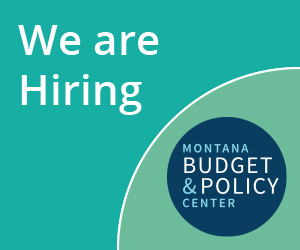 If you have suggestions for next week, email me at tjensen@montanabudget.org or post something to our Facebook page.